Greg Sembler is Chairman of The Sembler Company. Founded by his father, Mel Sembler, in 1962, the company has grown into an institution in the industry—developing more than 325 projects totaling more than 27 million square feet, and leasing and managing a portfolio of nearly 10 million square feet throughout the southeastern U.S. and Puerto Rico. Greg’s wealth of knowledge of how every facet of a shopping center works and how to foster success for businesses within the center are invaluable to the company and its clients. While Sembler officially joined The Sembler Company in 1983, he had been listening to his father negotiate deals since grade school – enabling him to jump right in, developing his first center in 1984. That center and many others in his portfolio are still thriving today, adding value to tenants and to their communities. 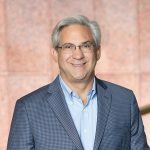 Sembler also shepherded the company through its expansion into Puerto Rico, where its successful portfolio includes neighborhood shopping centers as well as build-to-suit projects. Sembler is widely recognized for his commitment to community service and civic activism. He is actively involved in supporting Academy Prep Center of St. Petersburg, a private middle school designed to provide children of low-income families quality educational opportunities. He has served as Chairman of the “Come Build It” campaign for Congregation B’nai Israel, as well as having served on the Board of Menorah Center Nursing Home, which was awarded the Gold Seal of Excellence from the Governor of Florida. Sembler is a member of the International Council of Shopping Centers (ICSC) and the Florida Government Affairs Committee for the International Council of Shopping Centers. He is a frequent speaker and sought-after industry commentator. A 1983 graduate from the Wharton School of Finance and Commerce at the University of Pennsylvania, Sembler holds a Bachelor of Science in Economics with a concentration in Finance. He and his wife, Elizabeth, have four children.